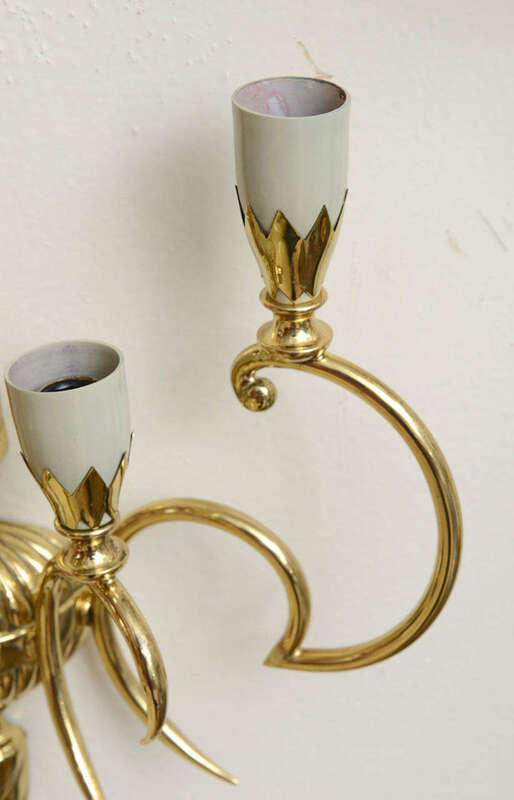 Pair of brass sconces with five shades. 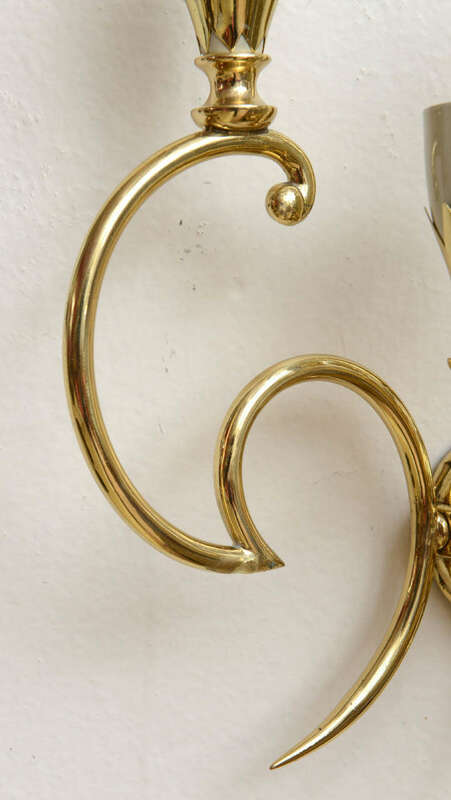 Some minor pitting on the stem. 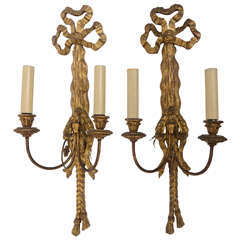 Pair of Italian florentine brass and iron wall sconces with floral design. 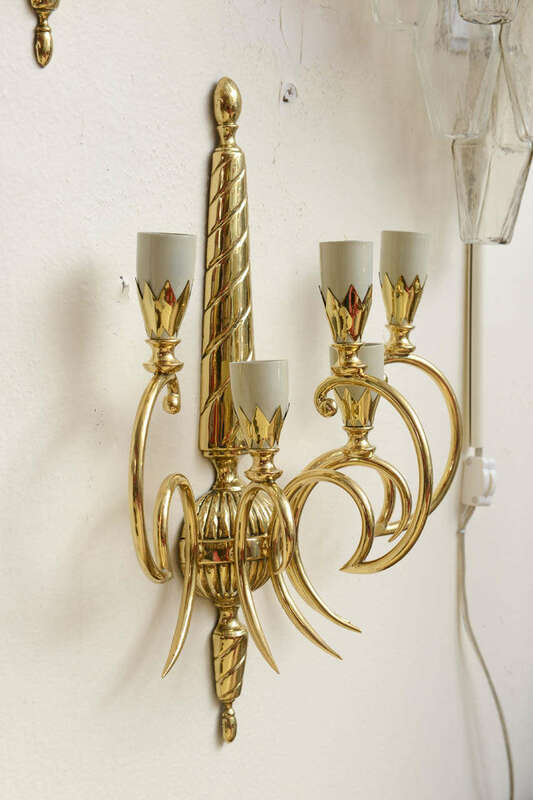 Wired for Europe and uses each three light bulbs max 40W. In perfect working condition. 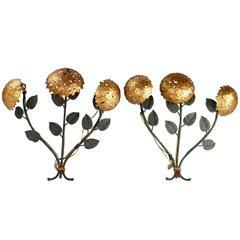 Pair of brass sconces arranged bouquet style. 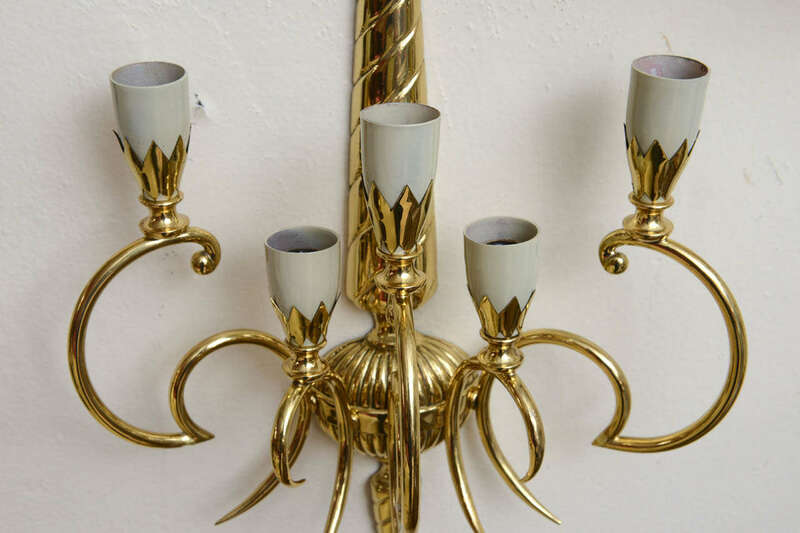 Each sconce has four shades that have been rewired for the USA. 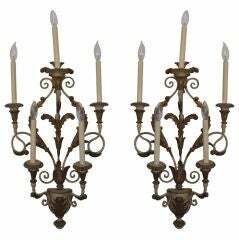 Pair of florentine five-light elaborate sconces. 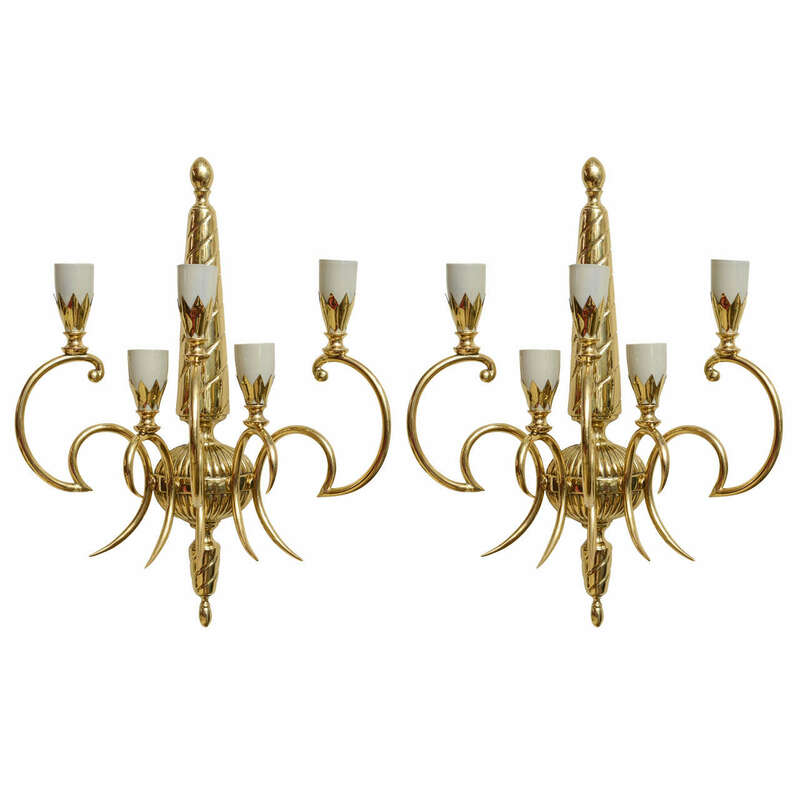 Pair of elegant polished brass Italian sconces. 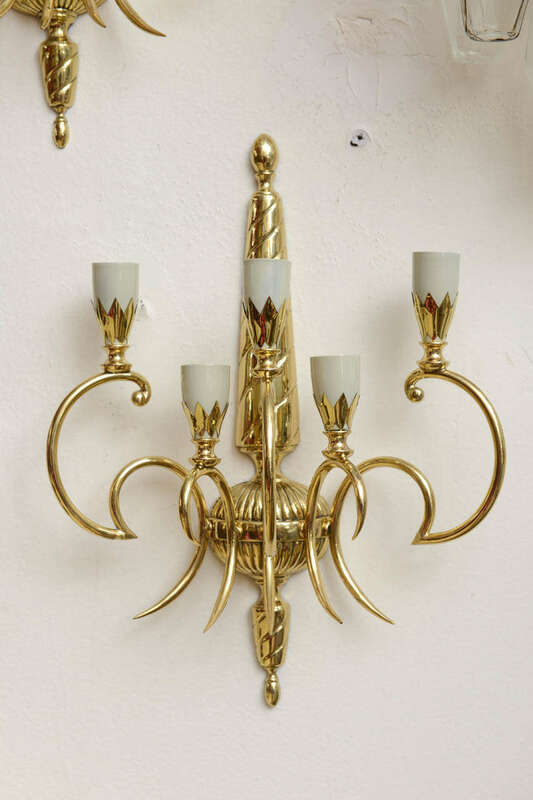 The sconces have been newly rewired for the US and take two light bulbs. 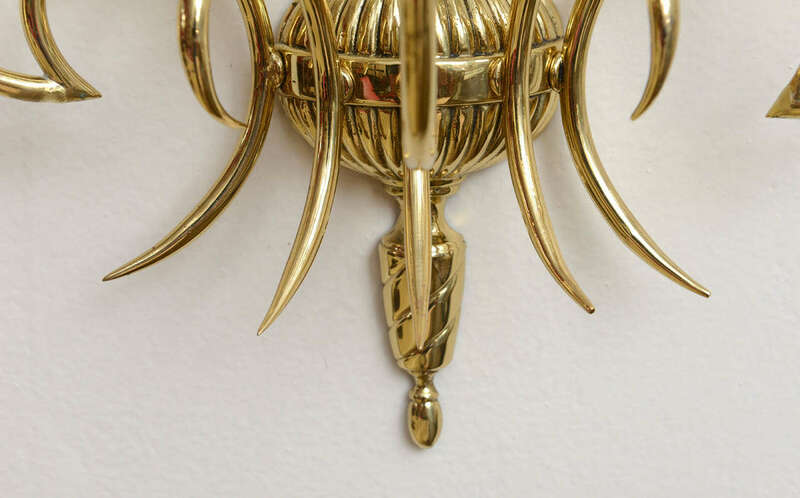 Pair of wall sconces made of brass with a large curved plate and adjustable arm. 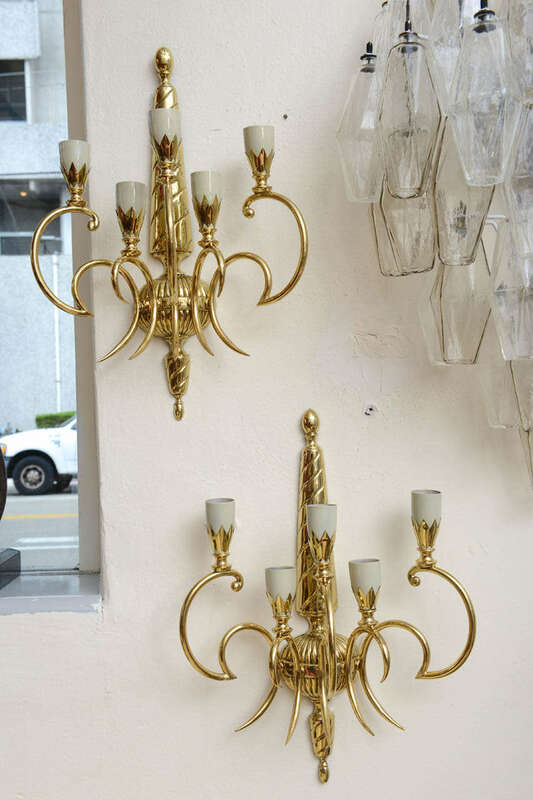 Pair of Italian sconces Murano glass and brass, in excellent condition. 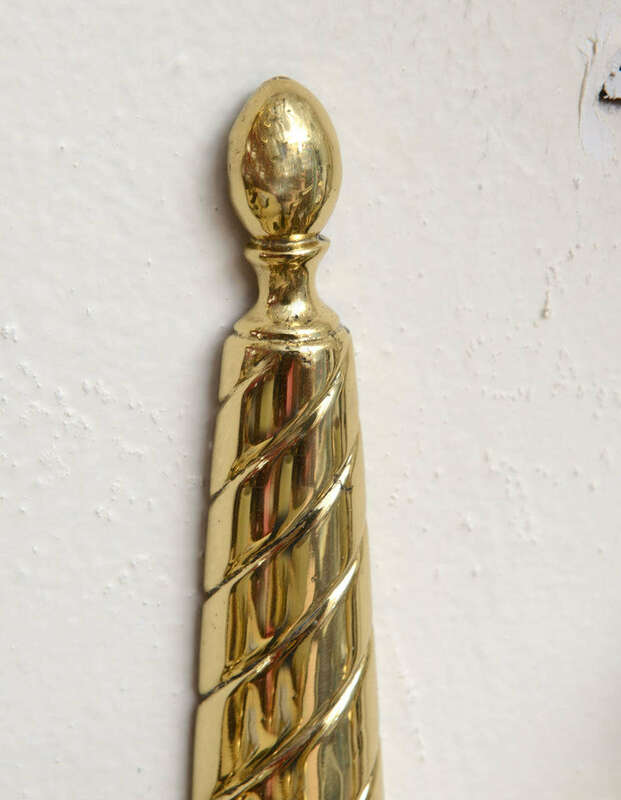 Pair of design brass sconces made of curved sheets of Brass. Circa 1960. 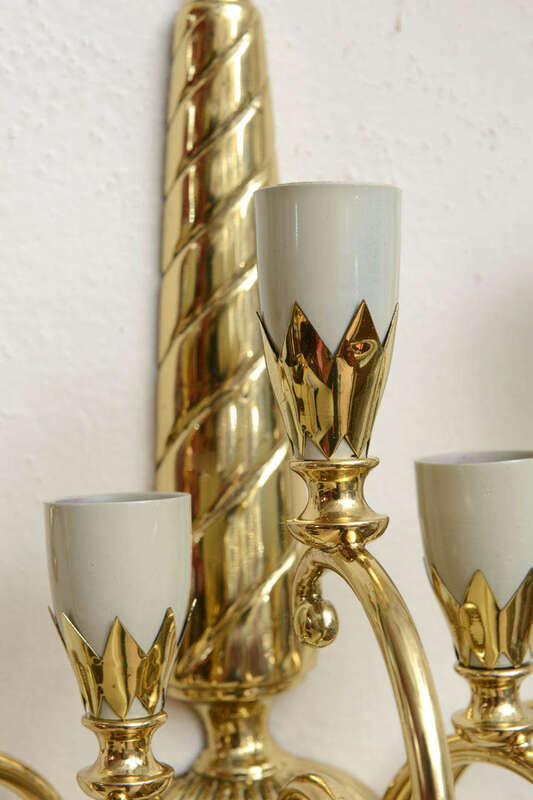 Pair of brass sconces decorated with cubes of different sizes, collection Studio Glustin, limited edition.